Today we celebrate a birthday and celebrate a pioneer of intersex awareness. The birthday we celebrate is that of Herculine (Abel) Barbin, who was born on this day 1838 in the village of St. Jean d’Angély, a couple of miles off the French Pacific coast near La Rochelle. 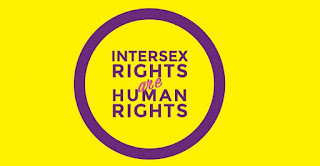 In 2004 the date of Herculine’s birthday was chosen as the Intersex Day of Remembrance, also known as Intersex Solidarity Day. 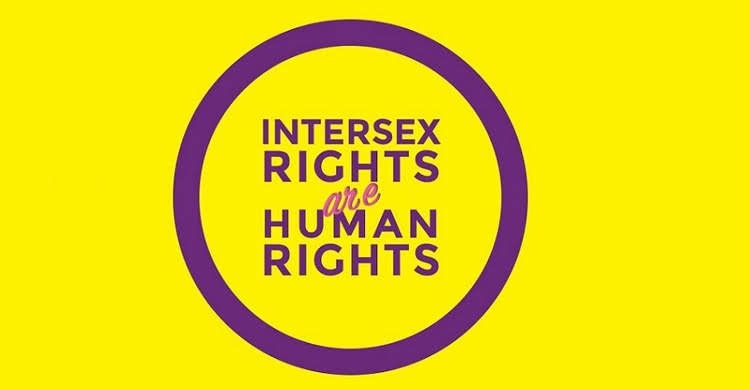 With Intersex Awareness Day on October 26th, a period of intersex awareness covering the days in between is becoming more popular internationally. Herculine Barbin was assigned female at birth and was raised as a girl. Later in life she wrote her autobiography in which she uses female pronouns for herself until she wrote about the time when he chose to self-identify as male. In respect to her memory that is what I will do. Thanks to the generosity of local citizen’s Herculine’s widowed mother was allowed to place her in the local orphanage at the age of 7. She was treated well and was later placed in a convent school for a wider education. Herculine was an excellent learner, except in things like needlework and embroidery. Books were here forte. After she had taken her first communion Herculine returned to her mother in La Rochelle. A noble family had befriended her mother and accepted her into their family home. Herculine also became like family. She became a kind of personal assistant to the ailing head of the family and often read newspapers, letters and books to him as he lay in bed. One of these books had a lasting effect on Herculine. It was Ovid’s “Metamorphoses”. This classic of Roman literature has provided me with several articles over the past few years. “Metamorphoses”, as its name implies, is a collection of legends and myths that have change, often physical, as their theme. These include the stories of Hyacinth, Tiresias, Narcissus and Cypress. At the age of 17 Herculine was persuaded to become a trainee teacher at a girl’s school. Unlike previously in the convent school Herculine was placed in a dormitory with other female trainees. This made her uneasy because she was now beginning to show signs of male puberty. Hair was growing on her upper lip. Although very self-conscious about this Herculine did her best to ignore glances. Despite her fears over her appearance Herculine found a close companion called Thécla. They were inseparable and kissed often. Herculine fell in love. Several times the nuns running the school admonished them for showing too much affection, and heartache followed when Thécla told Herculine that their affair must end. On gaining her teaching certificate Herculine was appointed to a girl’s school. She soon found a new love in Sara, the daughter of the hear mistress. They soon developed a passionate affair. Herculine, however, felt guilty that she should have such emotions for a woman. She confessed her guilt to her confessor, a priest who was generally unpleasant with everyone. Needless to say he wasn’t supportive of Herculine’s plight. During the summer break Herculine had the chance to see another confessor. He was more compassionate, in his way. Bearing in mind the lack of knowledge, experience and awareness of intersex issues in the 1850s the confessor’s words are surprising. In her autobiography Herculine recorded his response: “… you are here and now entitled to call yourself a man in society. Certainly you are, but how will you obtain the legal right to do so? At the price of the greatest scandal, perhaps.” The scandal refers to Herculine still working a male teacher in a girl’s school. The confessor continued, “And so, the advice I am giving you is this: withdraw from the world and become a nun; but be very careful not to repeat the confession you have made to me, for a convent of women would not admit you”. This advice was not unexpected, coming from a priest, but it was much better than the treatment she got from the science world. During the second year at the school Herculine began experiencing severe pains in her abdomen. A doctor was sent for and he examined her. He was astonished at Herculine’s intersex physicality and produced only more pain for her during the examination. His prescription was for her to leave the school at once. A third confession of her physical and emotional pains before the local bishop led to him making her see another doctor. This doctor was worse than the previous one. A more thorough and invasive examination was conducted, all in the name of science, her doctor insisted. At the end of his examination he advised Herculine to self-identify as a man. It was a heart-breaking decision for Herculine. She left the girl’s school and her beloved Sara. Now Herculine had adopted the male forename on Abel. In 1860 Abel received an official document from the local magistrate confirming in law that he was a man. Needless to say the local people noticed the change in his outward appearance and demeanour. The press treated this with sensationalism, much to the distress of Abel and his mother. Abel got an invitation to join the Paris railway company. He worked there for a while until a change of management forced his redundancy. With only enough money to cover a month of unemployment Abel began to sink into depression as the month-end approached and with no other employment in sight. Fortunately he found employment as a waiter’s assistant on a ship bound for America. This is where Abel’s autobiography ends. In February 1868 Abel Barbin’s body was found in his 6th floor room on the Rue de l’Ecole de Médicine in Paris. He had apparently died of carbon dioxide poisoning from a charcoal stove. The verdict of suicide was given. And so ended the life of the first intersex person to chronicle his or her life. The life of Herculine/Abel Barbin still resonates with many young intersex people today who was struggling to find acceptance and awareness of the issues that face them.